I'm a 20-something woman (it's rude to ask exactly how old I am) but I'm not afraid to admit that one of my few heroines in life (apart from my mum) is 16-year-old Malala Yousafzai. We all know her name now - since being shot by the Taliban Yousafzai has been hailed by the western world as a crusader, which she is. But hearing her story in her own words shows that Yousafzai is also a teenager, albeit one whose voice now reaches millions. Yousafzai is a confident, articulate, passionate young woman who is standing up for one of what should be the most basic rights for a child anywhere in the world - the right to an education. 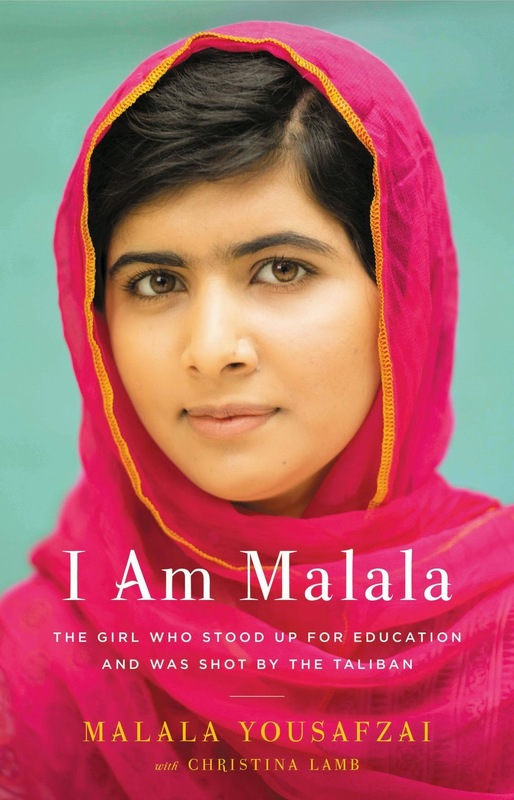 I Am Malala is Yousafzai's account of her life growing up in Pakistan, being a normal child, and then being thrust into the spotlight because of something that happened to her, rather than something she did. The first thing to note is how well Yousafzai speaks, and how well her voice comes through in this book. If you saw her speech to the UN (and if not, why not? ), you'll know that she can command an audience, and that voice comes through loud and clear in this book. Lamb is to be commended for tapping into Yousafzai's voice with perfection. The only part of the book where it feels slightly mechanical is in the chapters dealing with the immediate aftermath of the shooting. This is understandable, however, as it's the only part of the story that Yousafzai is telling second-hand - she can't remember much after being shot, and she certainly wasn't in any condition to know what her parents or the doctors were saying. Yousafzai's story is fascinating, and one that stands out for a young woman being brought up in Pakistan. As a British-born Pakistani, I have great freedoms and extremely supportive parents. But for many young women in Pakistan, tradition still rules and while there is much more freedom now and young women are getting educated and getting good jobs, many aren't in such a fortunate position. Hearing Yousafzai's story is interesting, partly because her family dynamic is interesting - her father is very forward-thinking, perhaps more than most fathers around the world, in whichever country you visit. But Yousafzai is not one to take things for granted. She acknowledges how lucky she has been in growing up in a family which places such an emphasis on education. She's grateful but also has that teenage confidence (mainly when it comes to exam results and competition with her classmates). I don't mean that in a bad way, but she comes across as a typical teenager in the book as well - a little cocky sometimes, a little over-confident (like many a teenager you'd meet on the streets of London, or Birmingham, or anywhere). Aside from hearing about Yousafzai herself, one of the things that most interested me most in I Am Malala was learning about the history and politics of where Yousafzai grew up, and finding out more about how she and her friends and neighbours viewed things. Yousafzai does convey some disappointment with both the governments within her country, and with foreign leaders for failing to step in, or just not doing enough. That the Taliban were free to terrorise her hometown is the fault of many people, and Yousafzai says that. I think what's most remarkable about Yousafzai's story is how normal she seems. Sure, she's speaking at the UN and meeting presidents and prime ministers, but at the end of the day she's a teenager who wants to learn and grow, and who has a huge amount of compassion. I Am Malala is a triumphant tale and one full of hope, despite the horrific events which occur within, and it's one that I shall be pressing on the various teenagers in my family to inspire them. However, it is also a story with a slightly bittersweet ending - my heart aches for Yousafzai, who wants to return to her home in Pakistan, but cannot yet. I hope one day she is able to return to Pakistan, because the work she is capable of doing there would make her current campaigning look like a school prefect election. How I got this book: From the publisher, Weidenfeld and Nicolson. This did not affect my review.